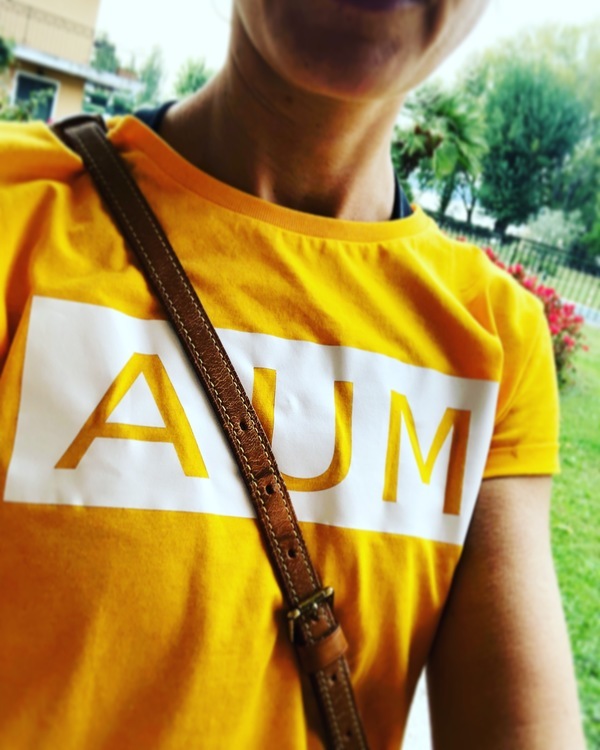 AUM rolled sleeve t-shirt in a yellowish design. This piece is made of 100% certified organic cotton. The coloring process is climate neutral and each piece has been individually dyed to achieve a unique color effect, of course under fair labor conditions! 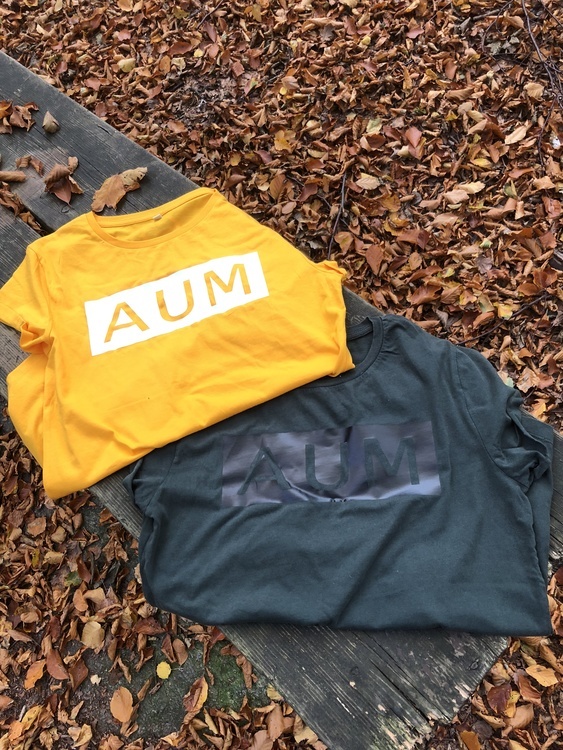 The print itself is handmade in Sweden after order (to reduce resources and waste) which also makes each piece unique of its kind.